The Church Jesus started will never die out. But can all the churches that claim His name—with all their different teachings—really all be right? How can you find the right one? 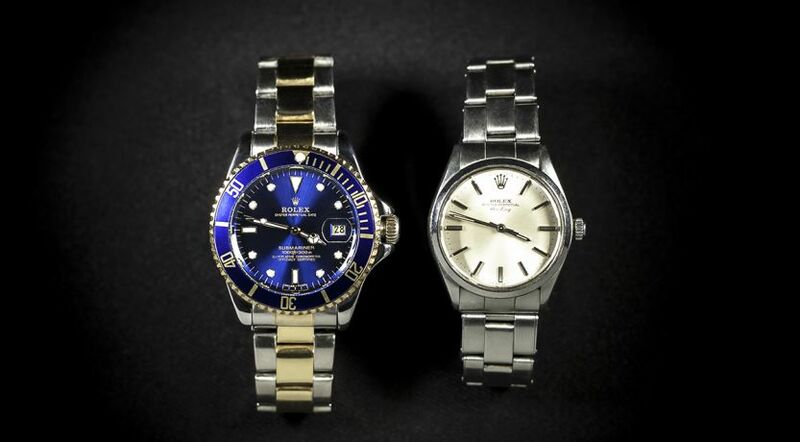 ​Years ago someone stunned me with the gift of a Rolex watch, previously owned but still worth thousands of dollars. It didn’t cost that much, he explained, because he found it overseas at a really good bargain price. That should have raised red flags, but I was so smitten with the thought of owning a Rolex I discounted any doubts. “Don’t feel bad,” he said. “It happens to a lot of people.” But I did. I felt mad and embarrassed too—how could I tell people (including the giver) that I’d been conned? The watch went straight into the trash. It does happen to a lot of people. Research “counterfeit goods” and you’ll find that virtually anything made can be faked, and it’s annually costing billions of dollars and thousands of jobs. It’s also costing lives. Fake purses are one thing. Fake medicines are another. People around the world are dying every year because the drugs they are taking in good faith are counterfeit. It’s criminal. What would you do, how would you feel, if you discovered your religion was counterfeit? Most of us have been “given” our religion by our parents, or maybe we “shopped” for one we liked. Is it possible that, in all innocence, we possess a fake belief? According to Jesus, it is! When asked about signs of His coming and “the end of the age,” the first thing He said was, “Take heed that no one deceives you. For many will come in My name, saying, ‘I am the Christ,’ and will deceive many” (Matthew 24:3-5). Watch out, He warned—there are a lot of religious scammers! Actually, it was already happening in His day, and several times He took religious leaders to task for leading people astray. How did it happen? By substituting fraudulent traditions for the truth of God! The Pharisees’ tactics are still common practice—because they still work! Just as it doesn’t take long for counterfeiters to churn out fake movies and music today, it didn’t take long for scammers to churn out false doctrines back then. The apostle Paul stood amazed at how fast it happened. “I marvel that you are turning away so soon from Him who called you in the grace of Christ, to a different gospel, which is not another; but there are some who trouble you and want to pervert the gospel of Christ” (Galatians 1:6-7). Paul further cautioned, “The time will come when they will not endure sound doctrine, but according to their own desires, because they have itching ears, they will heap up for themselves teachers; and they will turn their ears away from the truth, and be turned aside to fables” (2 Timothy 4:3-4). And in perhaps the strongest words possible, Paul warned, “For such are false apostles, deceitful workers, transforming themselves into apostles of Christ. And no wonder! For Satan himself transforms himself into an angel of light. Therefore it is no great thing if his ministers also transform themselves into ministers of righteousness, whose end will be according to their works” (2 Corinthians 11:13-15). Paul was addressing Christians, not strange pagan religions! Were he alive and saying this today, he would be roundly condemned as “narrow-minded,” “intolerant,” “not inclusive,” etc. But was he right? And are there still false teachers promoting false beliefs? Could many Christians—maybe millions—be unaware they are perpetuating an old scam? Look at the thousands of denominations in the world today representing differing interpretations of what Christ did and said. Isn’t that a problem? Why doesn’t that raise red flags and make people question the authenticity of their beliefs? After all, it was Jesus Himself who said, “My sheep hear My voice, and I know them, and they follow Me” (John 10:27, emphasis added). Some say, though, you should “follow your heart” or your conscience. Is that a godly or a counterfeit philosophy? Some say it doesn’t matter so much what you believe, as long as you’re sincere. Really? Does the Bible say that, or is that another man-made belief that sounds good, but is fake? If He promised it would never die, then wouldn’t the Church Jesus built be out there somewhere today? Is there a true Church? He didn’t say, “I will build My churches” (plural). Would Christ claim that they are all His, when the Bible says, “For God is not the author of confusion” (1 Corinthians 14:33)? Many have said, “All these churches can’t be wrong!” But can they all be right? If there are counterfeit churches, ministers and teachings, how can one know which is genuine? To know my Rolex was fake, it took someone trained to discern the marks of a counterfeit. Once he pointed them out, then I could see them. Can you know how to discern counterfeit doctrine? Actually, the Bible itself gives key marks to look for that quickly separate the true from the false. The night before He died, Jesus prayed for His disciples, asking God to “sanctify them by Your truth.” Sanctify means to set apart or consecrate things for God. In other words, truth would be the litmus test of the people of God. He then further qualified it, lest anyone misunderstand: “Your word is truth” (John 17:17). If it’s not from the Bible, God’s inspired Word, it’s fake, no matter how good it looks or what label is on it. According to Christ, the opinions and theories of people don’t count. Decisions to change doctrines—made hundreds of years later because norms of society changed—don’t count. New teachings that make it easier to assimilate new believers don’t count. If it’s not from the Bible, God’s inspired Word, it’s fake, no matter how good it looks or what label is on it. If it is a human philosophy, it’s fake. For example, what about the idea that as long as you’re sincere, or worshipping in the “right spirit,” that’s all that matters? Christ has an issue with that. He says, “But the hour is coming, and now is, when the true worshipers will worship the Father in spirit and truth; for the Father is seeking such to worship Him. God is Spirit, and those who worship Him must worship in spirit and truth” (John 4:23-24). Jesus told Pilate, “For this cause I have come into the world, that I should bear witness to the truth. Everyone who is of the truth hears My voice” (John 18:37). These are two of the 223 times the word truth is mentioned in the New King James Version of the Bible. In a world of lies, truth exists, and it is important to God! It’s not that Pilate really wanted to know. He was actually denying that humans can know what truth really is! It’s an easy way to dodge the responsibility God puts on us when He says, “Test [prove] all things; hold fast what is good” (1 Thessalonians 5:21). A search for truth leads us directly to another key issue of discerning counterfeit doctrines. Toward the end of the first century the apostle John was waging a battle for the truth against forces that were intent on changing the doctrines and practices of the Church. Enemies were not trying to create a new religion. They were trying to change the Church Christ had built into something else. How did He walk? He kept the 10 Commandments, which have been in effect since the creation of man! John was confirming Christ’s teaching, “If you keep My commandments, you will abide in My love. … You are My friends if you do whatever I command you” (John 15:10, 14). People can say they “abide in Christ,” but do they keep the commandments? That’s the test, isn’t it? If you are looking for the Church Jesus built, start looking for those who are striving to walk as He walked. Sad to say, “commandment-keeping” immediately crosses a huge number off the list. Why? Because over time theologians began saying Jesus actually did away with the need to keep the commandments, the law of God. Jesus stated, “Do not think that I came to destroy the Law or the Prophets. I did not come to destroy but to fulfill. For assuredly, I say to you, till heaven and earth pass away, one jot or one tittle will by no means pass from the law till all is fulfilled” (Matthew 5:17-18). A jot is the smallest letter in the Hebrew alphabet, and a tittle is a small marking on a letter. Christ was making it clear that the Law and the Prophets—that is, God’s instructions and judgments regarding right and wrong, good and evil—weren’t going anywhere. In fact, as we read through His famous sermon, Christ makes it clear that the Law and the Prophets were more important than ever—that they were filled with more depth and meaning than the Pharisees realized (Matthew 5:21-22, 27-28, 31-32, 33-34, 38-39, 43-44). That’s a problem for any church claiming that Jesus did away with God’s law. If anyone disputes that, hold up the Fourth Commandment—the Sabbath—as a test of doctrinal authenticity. What is the truth? Are the many nonbiblical doctrines and practices we see today—indisputably and easily proven to have been brought into Christianity long after Christ established it—a sign of genuine or counterfeit Christianity? The commandments and biblical holy days are only two examples of many practices of the Church Jesus built—the true Church, the Church based on truth. According to Christ and the apostles and the historical record, the world is awash in counterfeit Christianity. But if you are willing to “test all things; [and] hold fast what is good” (1 Thessalonians 5:21), you can learn how to discern what is true and what is false. For more about the Church, see the articles in “The Church: the Body of Christ” section of Life, Hope & Truth.